The Peace Silver Dollar is one of America’s favorite coins because of its large size, solid silver content, stunning beauty, and historical importance. It was the last Silver Dollar minted for circulation, but it has been out of circulation since the last coin was struck 70 years ago in 1935. The hardest to find of all Peace Silver Dollars are those from the Denver Mint. 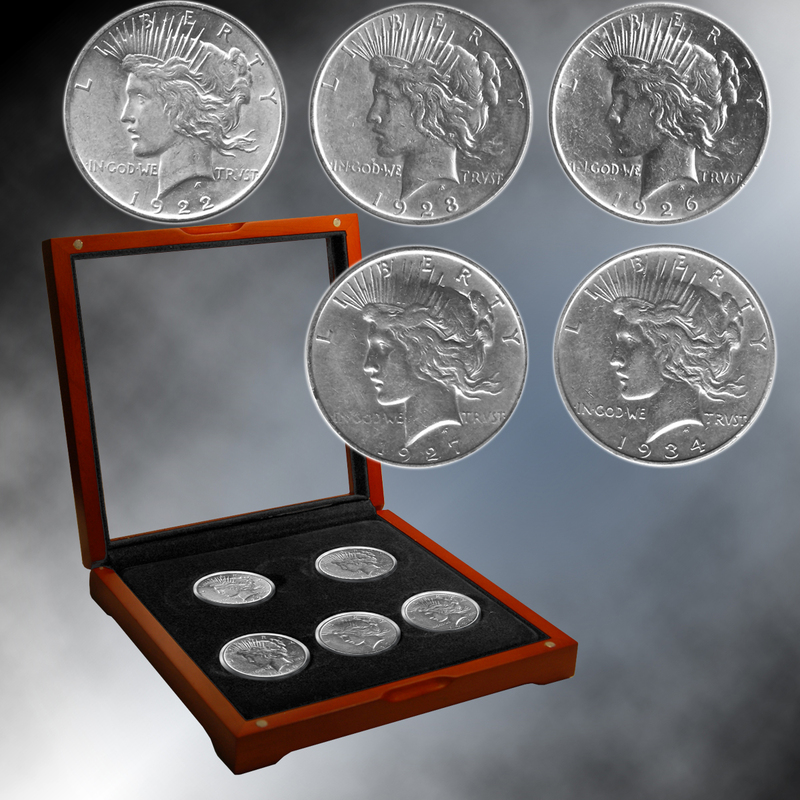 In fact, only five Peace Silver Dollars were ever struck at the Denver Mint – 1922, 1923, 1926, 1927, and 1934. 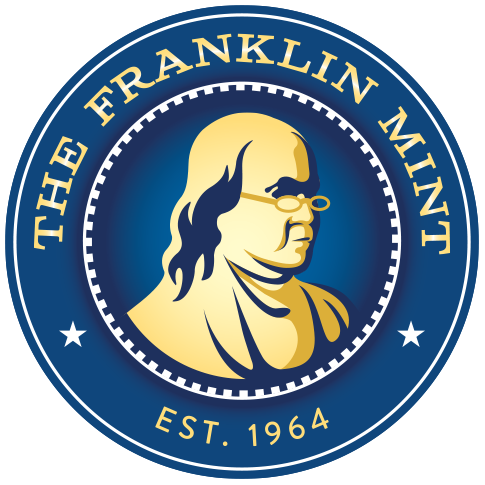 These coins are identified by the small “D” mint mark on the reverse, below “ONE.” These coins are about twice as rare as coins from the San Francisco Mint and four times rarer than coins from Philadelphia. This is the largest silver coin ever made for circulation (it is the same size as the Morgan Silver Dollar): it is almost 1-1/2 inches in diameter and it contains over 3/4 ounce of pure silver. The overall silver purity is the standard .900 pure. Due to the massive amounts of silver in each coin, millions were melted to help pay for World War II; millions more were privately melted in the 1980’s when silver reached $50 an ounce; and millions were destroyed or worn out in circulation. As a result, just a fraction of all coins remain today – and just a fraction of those coins are from the Denver Mint. This complete Denver Mint Peace Silver Dollar collection is displayed in a custom presentation box and comes with a Certificate of Authenticity. Dimensions: 7 1/4" x 7 5/8" x 1 11/16"